Today's New York Times print edition carries an article entitled, "Muslims Work to Shed Stigma Tied to Terror." The article can't quite decide what story it's trying to tell: Muslims as victims, external criticism of the community (which it tries to minimize), or Muslim self-criticism. The lack of focus and efforts to gloss over signs of extremism within the Boston Muslim community, even among those calling themselves moderate, result in an article more propaganda than journalism. It begins with the executive director of the Islamic Society of Boston Cultural Center (ISBCC) complaining that after terrorist incidents, the mosque is victimized by phone calls asking what connection it has to the perpetrator. This is a classic tactic of trying to change the subject from Muslims as perpetrators to Muslims as victims in the immediate aftermath of Islamist violence that has appeared very frequently in the media. It mentions that Boston is one of three locations selected by the Obama Administration for a pilot program in countering Islamist radicalization and recruitment, given the anodyne name "Countering Violent Extremism." Why those three, and in particular, why is Boston one of them? The article, about the Boston Muslim community, does not ask the question directly. Consider what it says and does not say about the ISBCC. Seven and possibly all eight of the terrorists mentioned in the article have some connection to it, as noted in these articles. It is true that the mosque denied having any connection to Ahmad Abousamra, but not to the others. Yet, the article mentions only one as having any connection to ISBCC. That one, Abdurahman Alamoudi, happens to be one of ISBCC's founders, as the article acknowledges. The organization was founded by people with connections to the Muslim Brotherhood. The NYT story tries to minimize the concerns raised by Charles Jacobs of the Americans for Peace and Tolerance on this issue, but it obliquely admits their truth by relaying ISBCC's weak rebuttal that it all happened a long time ago. The fact of its Muslim Brotherhood ties is not denied. The article completely fails to address Jacobs' charge that the leadership is radical. It does mention these facts about former imam (2010-14) William Webb, whom it tries to describe as liberal (perhaps he is, relatively speaking – more's the pity): (1) He admits having previously "espoused deeply conservative views after converting to Islam and changed only gradually." When did he espouse those views? Was he involved with ISBCC at the time? The article does not say. (2) After IS beheaded journalists, Webb's response was, "In America, no religious community has been beaten up or slapped around in the last 13 years like us." Again, changing the story from (Islamist) Muslims as perpetrators to (all) Muslims as victims. 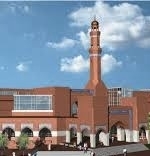 ISBCC has refused to participate in the counter-extremism program. The article never follows up on these signs that the ISCBB is radical or contributes to radicalization. It doesn't seem to look for the story of who and where the radicalizers are at all. Some time ago, I heard cartoonist Yaakov Kirschen describe the efforts of Israeli airline El Al to recruit him for an ad campaign. "People don't want to fly our airline because they think the service is poor. So, how can we overcome their concerns about the poor service and convince them to fly El Al?" Kirschen responded, "Why don't you improve the service?" The New York Times sadly approaches radical Islam from the perspective of an advertising firm trying to convince readers that there is no problem with Islam, that the main problem is a bunch of curious or mean responses by non-Muslims to terrorism perpetrated by Muslim radicals. It's not; the main problem is the radicalism to which they are responding. When it comes to Islamism and its influence on Islam in the West, the New York Times reports All the Apologetics That's Fit to Print. As a newspaper, it shouldn't be in the business of propagandizing. But, if it has to promote a position, it could at least encourage Muslims to be more open and forceful in confronting and overcoming Islamists in their midst. Tell them to improve the service.